The town of Deadwood in South Dakota has been struggling with a stationary gambling market for quite some time. This January gambling revenues were down 3.8% compared to the same month last year. As a result Deadwood casinos have turned to the Legislature for better ways to compete with casinos in other states. 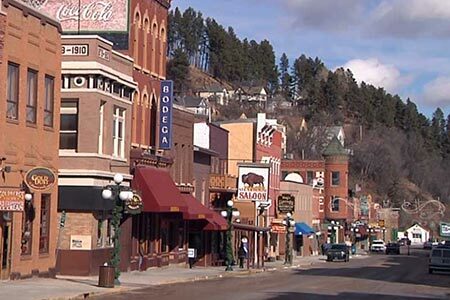 A number of new bills may mean that casinos in Deadwood will be able to offer a greater variety of games. Now there is a bill which will allow South Dakota voters to decide whether Deadwood casinos should be able to offer more games. At present casinos can offer slot machines, poker and blackjack, if the bill is passed this will expand to include roulette, keno and craps. The bill has passed the House and will have its first Senate hearing on Wednesday. A second proposed bill would allow casinos with hotel bars to sell alcohol twenty-four hours a day.